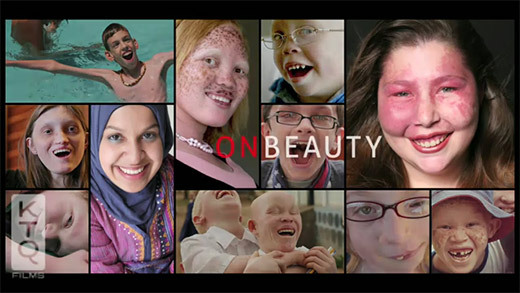 This is my first project with Joanna Rudnick/Kartemquin Films, and this team is making an unflinching new film “On Beauty”, that follows former fashion photographer Rick Guidotti, who after 15 years of working for clients such as Yves Saint Laurent, Elle, and Harpers Bazaar, grew tired of seeing the same ideal of beauty “spit up at us constantly”. Disillusioned by the industry, in a moment of serendipity, Rick walked by a young woman with Albinism (a genetic condition that results in loss of pigmentation in the hair and eyes) at a New York City bus stop, and wondered why she wasn’t considered beautiful in his other world. This exploration resulted in a show-stopping magazine spread for Life Magazine featuring young women with Albinism styled to the gills smiling out from under the headline “Redefining Beauty”. Over a decade later, Rick continues to focus his lens on individuals living in the shadows of overt, physical genetic conditions under the auspices of his not-for-profit Positive Exposure.